Now in it’s 7th edition, the Solar Chef is America’s number one best selling Solar cookbook! This unique cookbook offers 80 recipes that have been tried and tested by Rose and other solar cooking aficionados. She also offers information for a broad variety of other uses of the solar ovens such as drying herbs, and explains why some dishes require completely clear days while others can be cooked with some cloud cover. The Solar Chef has extensive directions for how to use a Solar Box type cooker, and has a discussion about what other types of solar cooking appliances can do. Green Chili Quiche, Pepperoni Egg Bake, Turkey Rice Casserole, Grandma Huser’s Banana Bread, Honey Drizzled Cornbread, Elaine’s Easy Chicken Dinner, Chicken Jambalaya, Beer Simmered Beef, and Chicken Mole, Thom’s Beef Jerky, The book also features recipes created by the Solar Gourmet – David Menicucci, such as Riboletta and Italian Chicken with Wild Mushrooms. 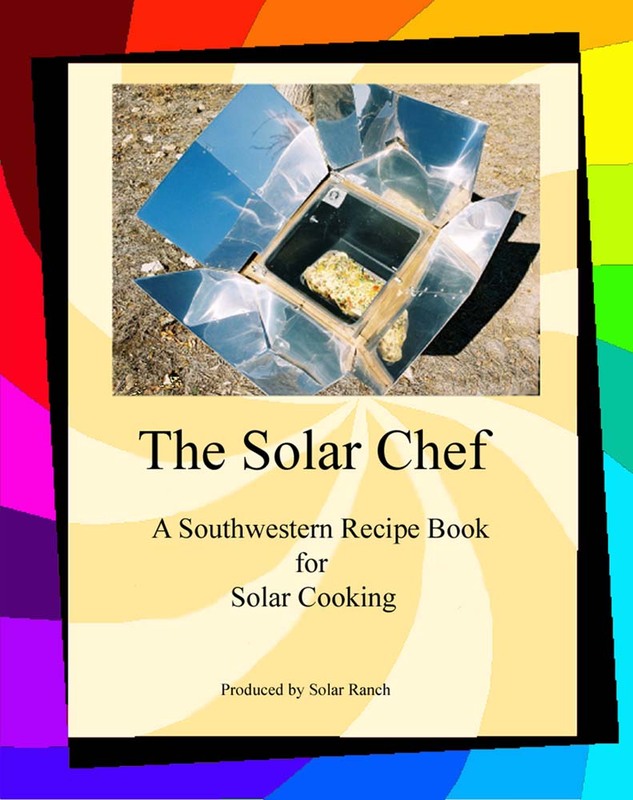 The Solar Chef includes information you need to understand the art and science of solar cooking. It includes information on weather, cookware, and much more! The Solar Chef is available for $10 plus $2.89 shipping and will be signed by author/editor Rose Marie Kern.